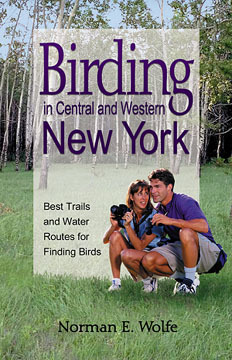 This guide shows when, where and how to find and enjoy birds that migrate through Central and Western New York as well as ones that take up yearround residence. There are maps and directions for travel on foot, by canoe or kayak, by bicycle and even a few where you don't have to leave your car. Birdwatching is a year-round activity that can be enjoyed by everyone. Written by Norman E. Wolfe.